A near set, 48 of 50 cards, is presented. 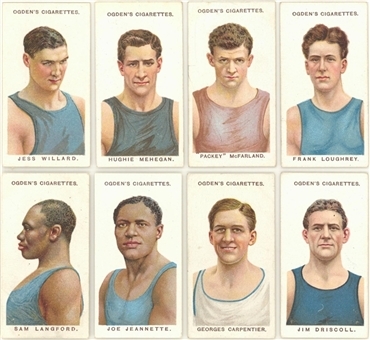 These richly colored insert cards showcase their era's most prominent fighters. Each piece displays an exquisite portrait likeness set against a bright white background, and the cards' backs provide brief biographies. 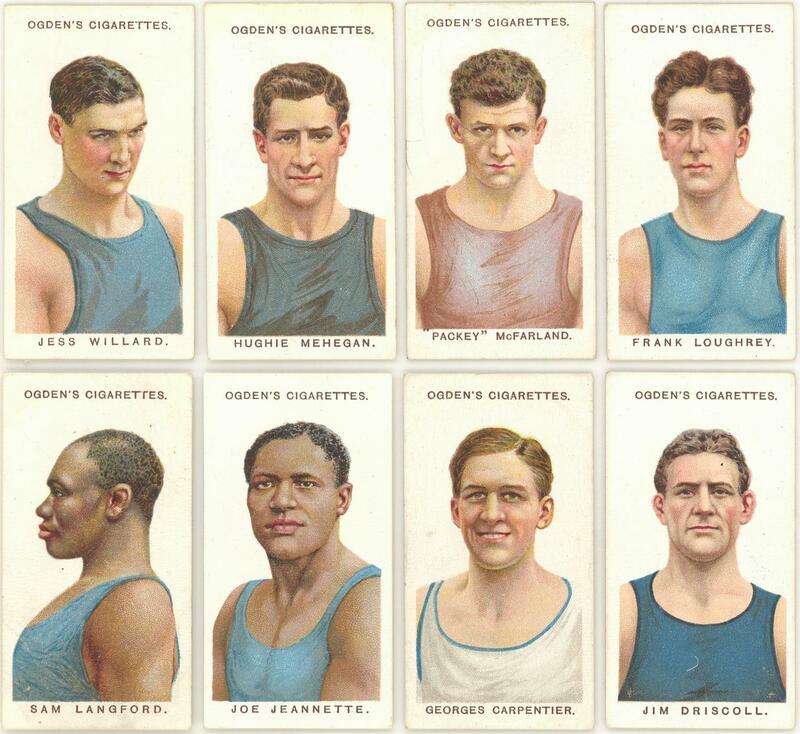 Highlights include #'s 1 Jim Driscoll, 10 Georges Carpentier, 15 Joe Jeannette, 23 Sam Langford, 25 Jess Willard, 31 Frank Moran and 32 "Packey" McFarland. Missing #'s 3 Kid Lewis and 4 Sergt. Pat O'Keeffe for completion. Condition range is VG/EX to EX/MT with just a couple lesser.